Download PDF Expert for free. Click on the text field or checkbox to start filling in. Use 'Add text' and 'Stamp' features to fill out a non-interactive PDF form. Filling out forms is something we all do. This is a cruel world: there are contracts, applications, invoices, W4, W9, tax declarations, insertion orders, CVs and many more. Filling in all these documents by hand, when everything is going digital, isn't the most efficient approach. If you're wondering how to fill out PDF form on Mac, we've got the answer for you. There are some of the digital tools out there sort of give you the way to do it, but they're cumbersome and unintuitive. That's why we made filling really smart and smooth in PDF Expert. Download a free trial now and try it yourself. The problem is that some people got used to filling all these documents by hand - even in 21st century. Office workers spend hours daily and waste tons of paper printing and filling out contracts and invoices. Even a small department in a single tax season can destroy a small Amazon forest. The reason is simple - they barely use PDF files and have no idea how to fill out PDF on Mac. There's good news which, we feel is great news for those who decided to go digital saving time and money on printing files. Technologies offer a plenty of solutions. 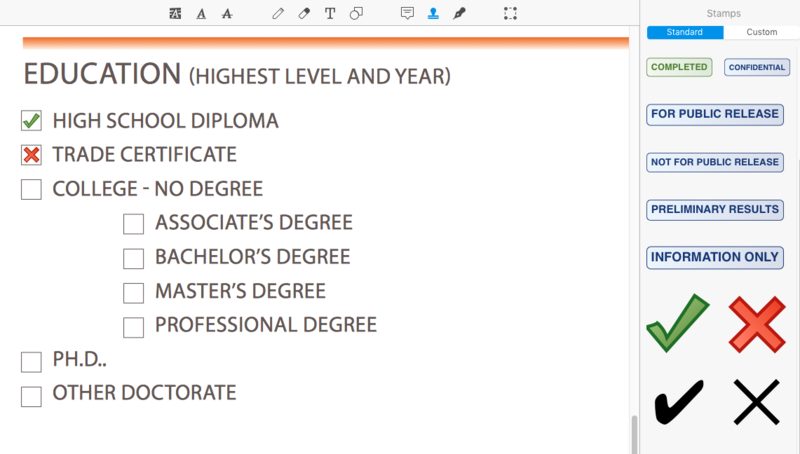 How to fill out PDF form on Mac with PDF Expert? Download PDF Expert and open any PDF form to fill it out. Click the field that should be completed and start typing. It is as easy as that. What format of forms does it support? 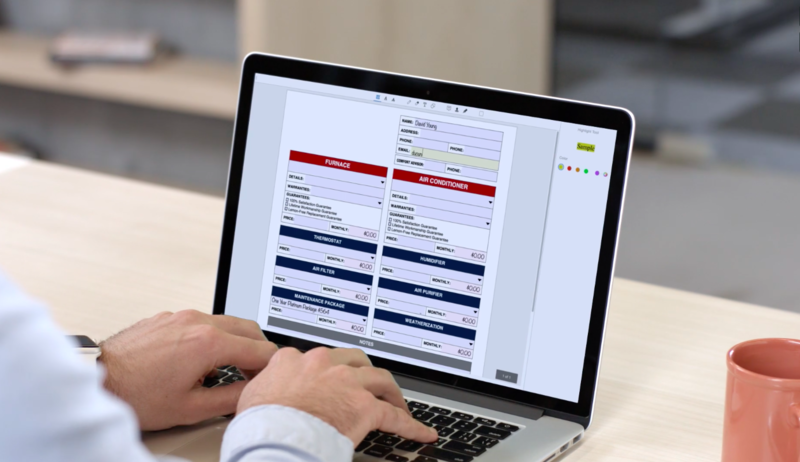 Acro forms created in Adobe Acrobat or similar programs. Static XFA forms created in Adobe LiveCycle. Dynamic XFA forms are not currently supported in PDF Expert. Text fields - click on a field to start typing. Checkbox and radio button - click the appropriate box to make a selection. Numbers fields and calculation - type the numbers in the numeric form fields and the calculations will update automatically. PDF Expert works perfectly with fillable forms. Don't worry if you have a non-interactive PDF forms. Press "Add Text" feature and type whatever you need. 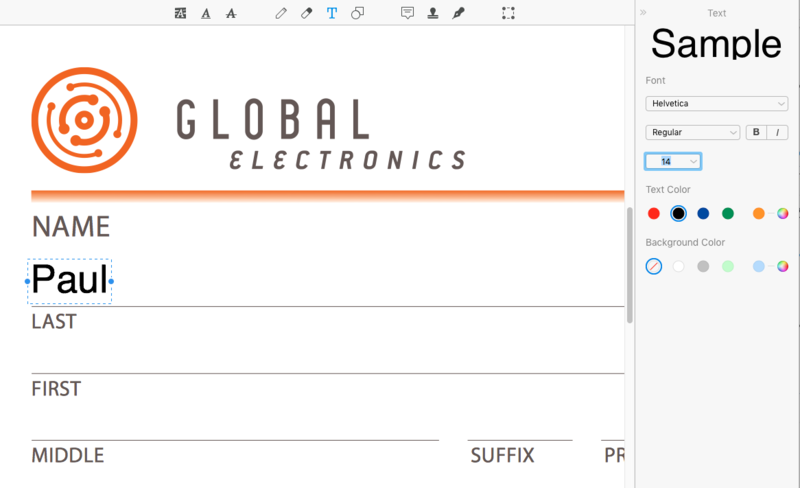 To fill checkboxes, simply type "x" or use any of cool stamps the PDF Expert Team has prepared for you. In case you're wondering how to make fillable PDF on Mac, PDF Expert will add this functionality in future as we're constantly working on improving your experience. Usually, the last thing you do before you get back to life is share the form with someone else (unless you filled it out just for fun). If you want secure your form and prevent it from being edited by Klingons, mail it as 'Flatten'. Otherwise, just send it as a regular attachment. 'Wanted to run PDF Expert. Filled out over 50 job apps for my son. Each was approx 20 pages. Glad I did'. PDF Expert makes your PDF life easier for over 10 000 people every day. Download a free trial or buy PDF Expert right now!